Should You Buy a Home in Glencoe, Winnetka, Highland Park During the Holidays? In a recent blog post, I shared the answer to the common question— Should I sell my home during the holidays? Now it's time to answer the opposite, Should you buy a home during this time of year? While it may surprise you, the answer is the same for both! 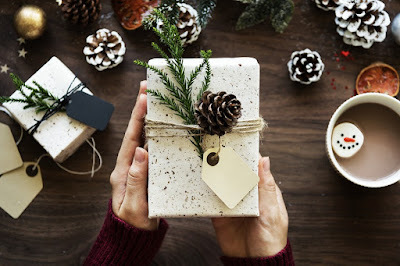 The holidays can be a great opportunity to both sell and buy homes on Chicago's North Shore and as your local real estate expert, I'm sharing below a few reasons to buy a new property right now. As the holidays come with a great deal of hustle and bustle, not to mention traveling, many tend to put their home searches on the back burner until the spring. In fact, many tend to think spring is the best time to buy a home and as a result, you will have much less competition for homes currently for sale if you buy now! Buying a home on the North Shore during the holidays can allow you to find a great deal. After all, homes that are listed now likely have motivated sellers who need to move on before the new year or the listings are leftover from the fall (sometimes, even summer) market. Unlike buying a home during the busier spring and summer seasons, you may just find flexible more sellers in the current market. During the spring and summer, homes in Glencoe, Winnetka, Highland Park, and the surrounding areas look bright, fresh, and appealing with idyllic landscaping and green grass. During the holidays, you have a much clearer picture of what the property will look like the other six (or more!) months out of the year— you are able to see the home for what it truly is, without being distracted by flowers and sun-lit rooms. The holidays are not quite as busy for professionals working in the real estate market. Not only does that mean you have better access to lenders and the like, but your home purchase in Winnetka, Glencoe, Highland Park, Deerfield, Northbrook, Evanston, Glenview, Wilmette, Lake Bluff, or Skokie could move along much faster. 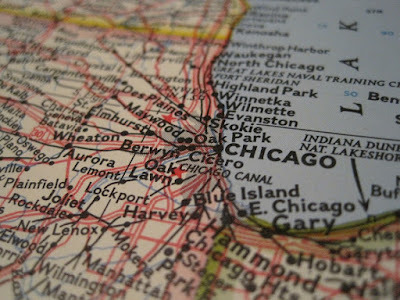 I'm here to help with every aspect of your home purchase on Chicago's North Shore! Do not hesitate to contact me with any questions you have! If you're traveling for the holidays—no matter if you're off to a surrounding community on Chicago's North Shore or far away—it's important that you protect your home while you're gone. Whether you keep your lights on a timer or have a neighbor pick up your mail, every step makes a big difference in ensuring your property's safety this time of year. Before you head out on your holiday excursions, don't forget to lock all of the doors and windows! This may seem like an obvious home security tip, but with all of the hustle and bustle, it can be easy to forget to turn the lock. Make one trip around your home prior to leaving to make sure each window and door is latched. If you know you'll be gone for a few days (or weeks! ), ask a neighbor to get involved. They can pick up your mail, so your full mailbox doesn't tip off any thieves that you may not be home, and also help gather large packages that may be delivered. Remember, package theft picks up this time of year and you don't want to risk having your gifts suddenly disappear from you doorstep! Make sure the pathway to your door is clear of any obstacles or large holiday decor. Thieves can often hide behind bushes, trees, and even your Christmas inflatables, so make sure your doorway is visible from the street and to your neighbors. It can be tempting to share your holiday travels on social media, but this could also leave an unnecessary tip that you're not home. Avoid sharing any tips that you're away from the house until after you return. If you haven't already installed a security camera outside your home, take the time to do so before you leave for the holidays. Not only does this help amp up your home's protection when you're away, but you can keep a watchful eye no matter where you are, right from your phone! Do not hesitate to contact me with any questions about the local real estate market in Glencoe, Winnetka, Highland Park, Northbrook, Deerfield and beyond, buying or selling a home! I wish you all a happy holiday season! There is much research to be conducted when buying a home in Winnetka, Glencoe, Highland Park, Northbrook, or Deerfield. For instance, not only will you need to determine the location or community where you'd like to live, but you will want to look further into the neighborhood and even the street itself. Before you buy a home on Chicago's North Shore, it is important to do your due diligence in order to avoid any surprises. As your local real estate expert, I've included below three ways that you can research a property prior to signing on the dotted line. This online tool is easy to use and allows you to see a snapshot of any home on Chicago's North Shore— as it would appear if you were standing in front of it yourself. Be aware that Google Street View's images are not always completely current and can be a few years old, but this tool can help you to understand how a neighborhood has grown or changed and the history of a property. For instance, if new landscaping has been added or exterior improvements made. There are dozens of neighborhood crime apps you can download to check on the safety of an area. Prior to buying a home, this is one way to get to know a particular neighborhood better if you are unfamiliar or just how recent crimes have been reported near a specific property. Did you know you can look through building records without even leaving your computer? Much of this information is available online and with a simple search, you can find building permit history, including what work has been been completed on the property. Keep in mind, however, that while most sellers are required to disclose work that has been done, there may be work done earlier that they were not aware of. Ready to buy a home on Chicago's North Shore? Contact me today for a list of available properties, as well as information about the local market or communities including Winnetka, Glencoe, Highland Park, Deerfield, Northbrook, Evanston, Glenview, Wilmette, Lake Bluff, Skokie, and beyond. City Active Listings: There are a total of 141 properties actively on the market with the average price of $1,931,815 in Winnetka. City Sold Listings: 22 properties closed last month in Winnetka with an average sales price of $1,020,614. The average time on market for these properties was 44 days. City Active Listings: There are a total of 322 properties actively on the market with the average price of $990,885 in Highland Park. City Sold Listings: 37 properties closed last month in Highland Park with an average sales price of $639,643. The average time on market for these properties was 72 days. City Active Listings: There are a total of 286 properties actively on the market with the average price of $758,828 in Northbrook. City Sold Listings: 64 properties closed last month in Northbrook with an average sales price of $528,864. The average time on market for these properties was 51 days. City Active Listings: There are a total of 176 properties actively on the market with the average price of $647,395 in Deerfield. City Sold Listings: 26 properties closed last month in Deerfield with an average sales price of $359,219. The average time on market for these properties was 58 days. City Active Listings: There are a total of 106 properties actively on the market with the average price of $1,512,350 in Glencoe. City Sold Listings: 10 properties closed last month in Glencoe with an average sales price of $1,192,700. The average time on market for these properties was 51 days. 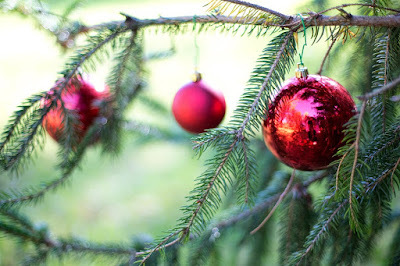 Should You Sell Your North Shore Home During the Holidays? When you think about the holiday hustle and bustle—shopping, events, decorating—it may seem like the last thing you should add to your plate is selling your home. 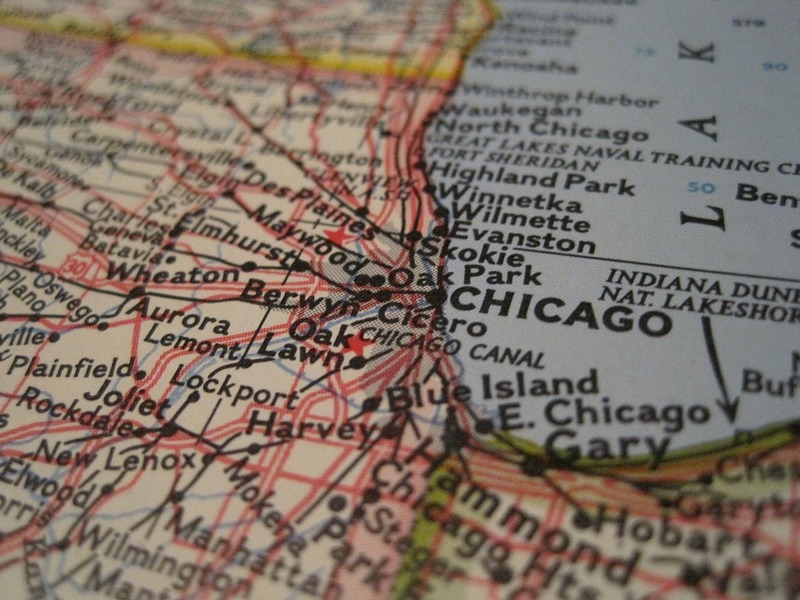 After all, isn't spring the best time to list your home on Chicago's North Shore? In the past, that may have been the case, but this year is shaping up to be different and the holidays could end up being the best time of year to sell your North Shore home. Why? A recent Foot Traffic report from the National Association of Realtors shows that there are more buyers out right now than there have been at any time in the last twelve months. This also means that there are more buyers currently looking for homes than there were during last year's spring real estate market! It all comes down to supply and demand and in today's market, that means supply is currently low (with housing inventory much lower than it has been in past years) and demand is soaring! The number of homes currently for sale is much lower than it has been in the past, but as a home seller in Glencoe, Winnetka, Deerfield, Northbrook, Highland Park, or the surrounding areas that also means you have less competition. Fewer homes for sale means fewer to compete with and if buyers decide yours is a fit, they might just spark a bidding war to make sure are the ones who get to move in! As I mentioned above, demand is high on Chicago's North Shore! Buyers no longer look for homes during one time of the year. In fact, with smartphones, tablets, you name it, buyers can search for available properties 24/7— many even have new listings that meet their criteria emailed to them! Buyers are ready to purchase a home during the holidays if the price is right—not to mention the location and features—so you won't want to wait! Ready to sell your home in Glencoe, Winnetka, Deerfield, Northbrook, Highland Park, or the surrounding areas? Give me a call today!